The Master Lock No. 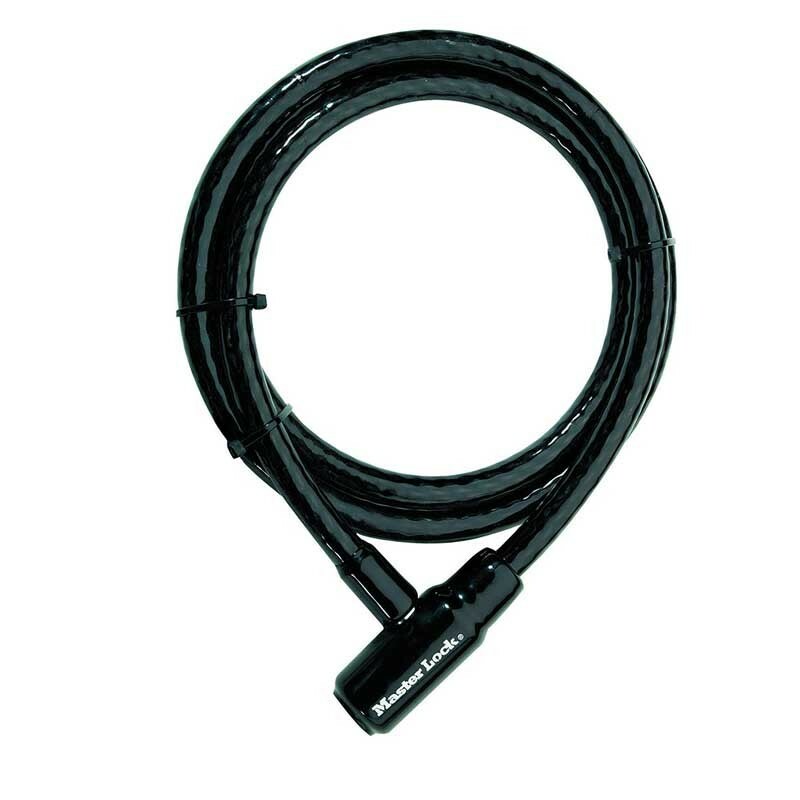 8157DPS Keyed Cable Lock is 6ft (1.8m) long and features 9/16in (15mm) diameter braided steel for maximum strength and flexibility. The protective vinyl coating protects against scratches. The high security lock cylinder provides superior pick resistance. The Limited Lifetime Warranty provides peace of mind from a brand you can trust. Increased cable diameter for maximum performance. High security anti-pick lock cylinder. Ideal for motorcycles, ATVs, and other toys and gear.